The wonderful York Art Gallery has been nominated for the highly prestigious European Museum of the Year 2017 Award. The gallery is the only British museum on the list of 46 nominees from 24 countries, so big congratulations! We absolutely loved being involved in their major redevelopment back in 2015, where we manufactured the unique hexagonal faience facade, designed by architects Simpson and Brown. The building itself has been nominated and awarded for several amazing accolades since it's opening, and has most recently been nominated for the renowned European Union Prize for Contemporary Architecture 2017, which is truly amazing! York Art Gallery is a great place to visit, not only for their amazing collection of art and ceramics, but also for the beauty in the building, both internally and externally... 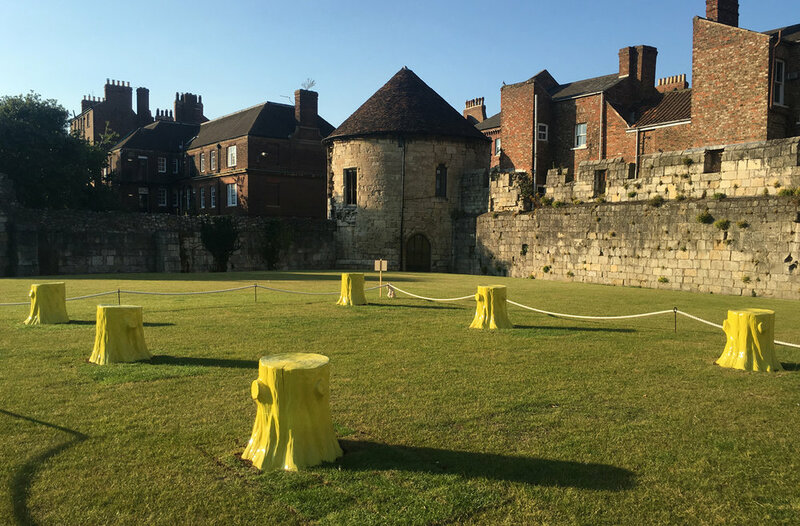 Including their new Artists Garden, where by again we had the great pleasure working with the gallery once more in creating the eye-catching yellow ceramic tree stumps, designed by our good friend at Ordinary Architecture, Charles Holland.